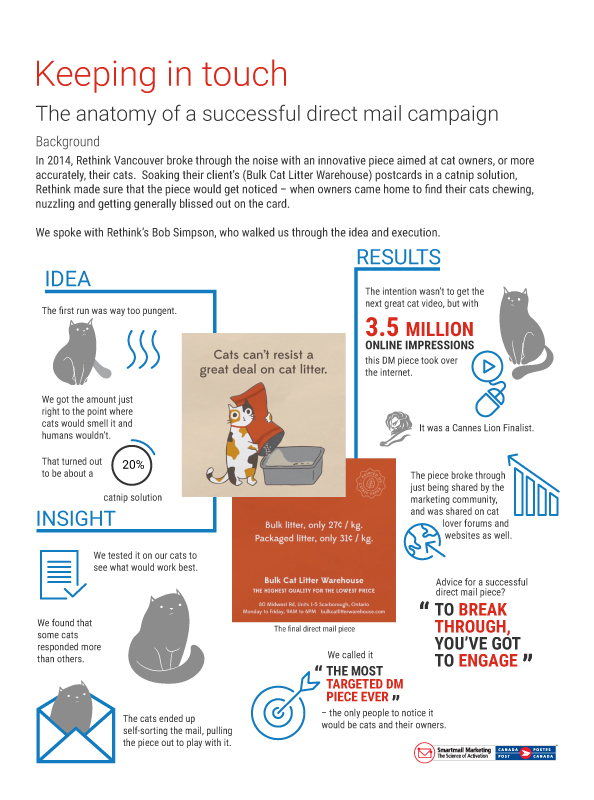 Rethink Vancouver breaks through the noise for a small business client with a marketing campaign aimed at cat owners. The agency’s genius? Creating a direct mail piece that felines brought to the attention of their personal shoppers. This infographic outlines how a postcard generated over 3.5 million online hits. Wondering if direct mail should be part of your next campaign? Get expert advice from our team. Download our Breaking Through the Noise whitepaper and get started today.